Overlamping is one of those electrical terms you might not know, but a concept you should definitely be familiar with. Here’s a Q&A to give you the facts on overlamping and how to keep your home, business, and loved ones safe. 1. Q: What is overlamping? 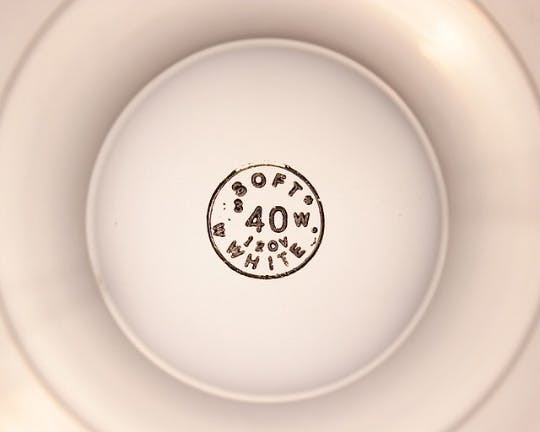 A: Every lighting fixture comes with a wattage rating from its manufacturer. This is required by safety standards today. A light bulb’s wattage should not exceed this listed recommendation. Overlamping occurs when a light bulb has too high a wattage for a lighting fixture. 2. Q: Is overlamping a safety hazard? A: Yes, overlamping is an electrical code violation and considered to be very dangerous. This is because of the intense heat it can produce. This heat can cause scorching and melting. It can quickly damage the electrical wires and interrupt the path of the electrical current, causing an arc fault. Arcing is when sparks jumps from one wire to another, and it puts you at high risk for electrical fire. 3. Q: How do I know if I’m overlamping? A: Check your light fixture for the manufacturer’s wattage recommendation, and then check the rating of the bulb you’re using in it. If it exceeds the recommendation, you’re overlamping and possibly melting the fixture’s wiring insulation, which is extremely dangerous. 4. Q: What should I know about overlamping if I live in an older home? A: Older homes often contain older light fixtures, and this can make things a bit trickier, because older fixtures generally don’t depict a wattage rating. In fact, it wasn’t required of lighting manufacturers by law until 1985. This makes it more difficult to gauge your wattage needs and ensure you’re not exceeding the max. 5. Q: What are the solutions? A: If you’re living in a modern home with updated fixtures, they should disclose their wattage rating. Stick to this rating (or lower) when choosing your light bulbs. If your fixture doesn’t have a rating, the rule of thumb is to use a bulb that is 60 watts or lower to be safe. It’s best to replace your light fixture if you find that you have been overlamping. The residual heat could have already wreaked havoc on the wiring. You don’t want to take a chance on something going wrong, even with the appropriate bulb in place. Replace your light fixture and find a bulb that is appropriate for its wattage rating. Using high-efficiency bulbs such as LEDs is another great way to avoid overlamping since they draw less power. When in doubt, contact your licensed electrician to be certain you’re safe. This is a serious electrical safety risk with a quick and easy solution!